I love this picture of my friend Kitara with my mom. Two women from vastly different backgrounds, but they're both women of faith and mothers who would do anything for their children. As women, we should all lift each other up like Kitara and my mom. Take a moment today to reach out and offer a few words of kindness to a working mom who makes a difference in your life. Live with Sue Lani Madsen on Spokane Talks! Thanks for inviting me to share my story of going from Kettle Falls to the halls of Congress. 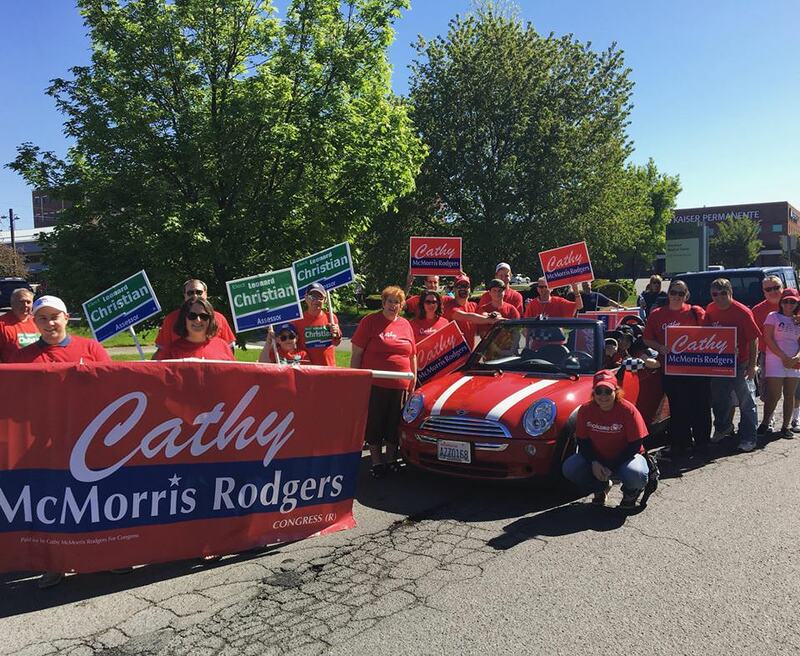 Serving Eastern Washington has been the honor of my life and I’m eager to continue delivering results! My street team had so much fun meeting supporters at the Jr. Lilac Parade and we still have many more parades yet to come! 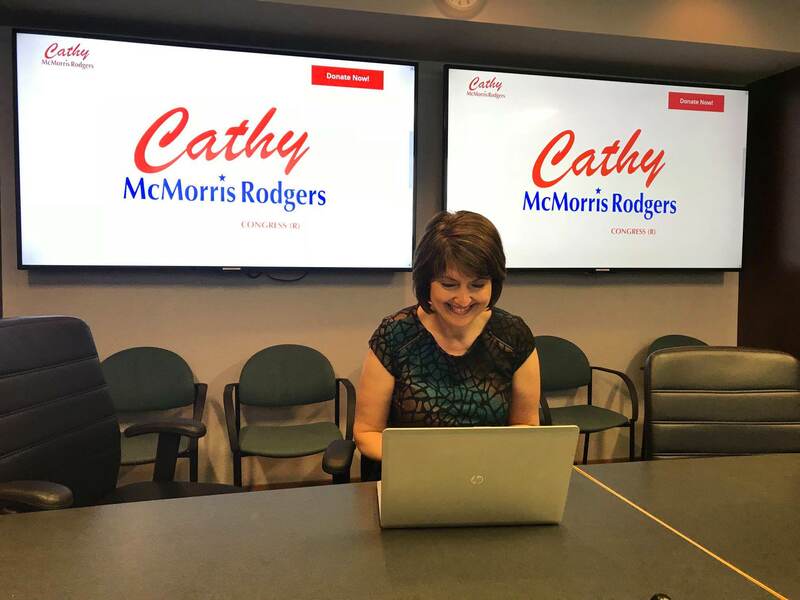 SPOKANE, Wash. – Cathy McMorris Rodgers took to the airwaves today with her first ad of 2018, demonstrating a commitment to running an aggressive campaign focused on her positive vision for Eastern Washington and the country. I was lucky to meet Mandy Manning earlier this year and thrilled when she won National Teacher of the Year. Thank you for all you do, Mandy, and best of luck as you share your stories and experiences! 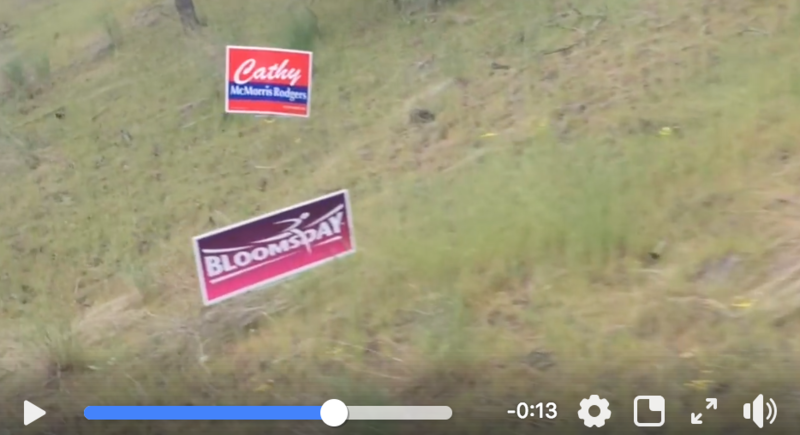 Team Cathy had a great time talking to Bloomies! Hope all who participated today had a safe and fun run! Here's a look behind the scenes at some of the sights and sounds from the course.